Anger is one of many human emotions – we all feel it on occasion. But it’s when anger gets out of control that it can cause huge problems in your life, your work and relationships, your health and your overall happiness. Anger can manifest in different ways, and psychologists have long tried to come up with an agreed set of anger types. The trouble is that anger is unique in every case and highly affected by the cause and context that it occurs in, which makes categorisation difficult. Nevertheless, learning to understand the different types of anger that can be experienced is essential in managing any anger issues constructively, so that self-confidence, harmonious relationships and personal happiness can be restored. This type of anger seems to explode out of nowhere. The intensity can be frightening and verbal outbursts and physical violence, often triggered by a particular personal annoyance or a perceived wrong, can result. 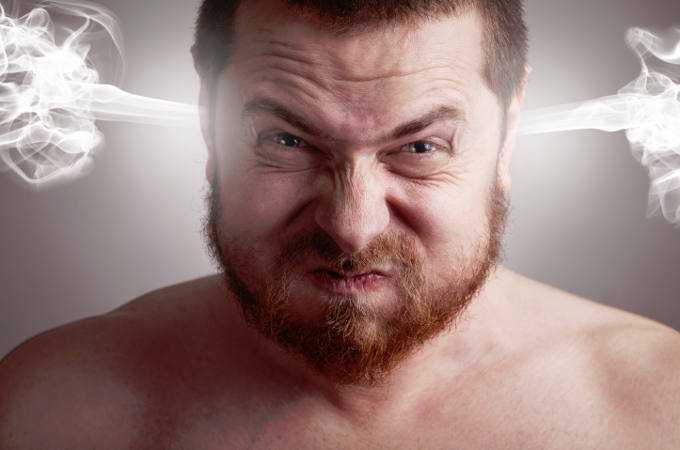 Anger management techniques are very effective to deal with volatile anger by teaching you to identify the signs and symptoms and employing strategies (e.g. breathing or leaving the room) to calm down. Chronic anger can bubble beneath the surface for years, unable to express itself. Rather, it can manifest in a widespread resentment of other people or life in general. Chronic unexpressed anger is unhealthy – it can lead to depression and a range of other mood disorders, and can manifest as addiction, eating disorders and self harm. Anger that’s repressed or concealed will often find a way out in unpredictable or unusual ways, sometimes without the anger sufferer being aware of what is happening. This includes sarcasm, deliberate avoidance or under performance techniques and a host of other passive aggressive behaviours. Passive anger is one of the most difficult to identify and deal with. This type of anger comes out of resentment or loathing resulting in unfavourable judgements made about other people or situations. Judgemental anger typically manifests as critical or hurtful comments that are deliberately directed at the source of the anger. When everything gets on top of you or circumstances conspire against you to an intolerable extent, a feeling of anger may overwhelm you. Rather than ‘giving up’ in the face of extreme adversity, your frustration may be directed outwards. Anger can be a powerful motivator for revenge actions directed at a person or an organisation who you feel has treated you wrongly. Whether it’s a relationship that has ended badly, or a company refusing to refund faulty goods, this type of anger can lead to dangerous behaviour. Anger can be a positive thing in that it provides the motivation and drive to initiate positive action. If you believe you have suffered an injustice, anger may help you to overcome any shyness or fear that might otherwise stop you from standing up for yourself. Or perhaps you deliberately work yourself into a state of anger to be in peak performance for the gym, or a boxing fight? Whichever type of anger you may suffer from, the anger management counsellors at KlearMinds are well placed to help you understand how and why your anger occurs, helping you to recognise triggers and manage and express your feelings safely and constructively. Using cognitive behavioural therapy (CBT) alongside other psychotherapy techniques allows us to tailor our therapy to suit your individual needs and circumstances. For more information, please contact us confidentially on 0333 7720256.